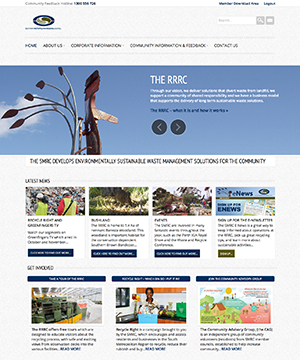 The SMRC has a brand new corporate website. It looks great and is easier to navigate. 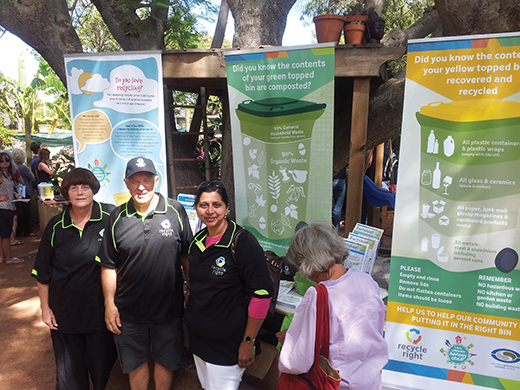 Check out the new information on the site including the RRRC Bushland, events and information and photos on how we conduct waste audits! Information on our Community Feedback Hotline and our Field Ambient Odour Assessments can be found under Community Information and Feedback, the same place as before. 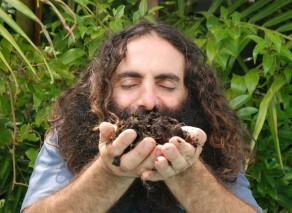 International Composting Awareness Week Australia (ICAW), is a week of activities, events and publicity to improve awareness about the importance of compost, a valuable organic resource and to promote compost use, knowledge and products. We can compost to help scrap carbon pollution by avoiding landfilling organic materials and helping to build healthier soils. The Centre for Organic Research & Education (CORE) promotes and manages the key aspects that lead to community change towards organic products and practices. Highlight the environmental, social and economic benefits of composting including the opportunities to reduce our carbon emissions. DID YOU KNOW YOUR GREEN-TOPPED BIN IS COMPOSTED? 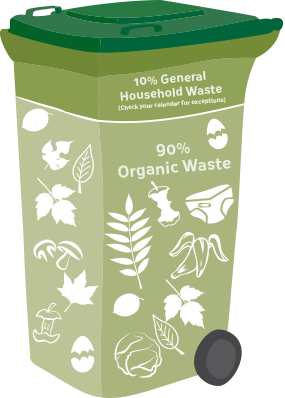 In the SMRC region, we compost the contents of your green-topped bin. The majority of the contents of your green bin should be organic. 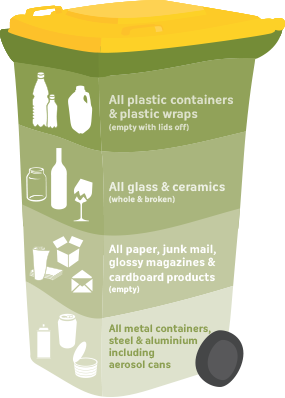 There are many items that can contaminate the green-topped bin. One of those items is glass. If you put glass in the green-topped bin, it contaminates the compost. All glass, even broken glass should only ever be placed in your yellow-topped bin. By the time the glass is emptied into the truck, is compacted and arrives at the Recycling Facility, it is usually broken anyway. DID YOU KNOW THE CONTENTS OF YOUR YELLOW-TOPPED BIN ARE RECOVERED AND RECYCLED? At the Materials Recovery Facility we see some pretty amazing sights. We thought we would share some of these with you in our newsletter. Below are some images of contamination that recently came to the Materials Recovery Facility, where we process recyclables from the yellow-topped bin. 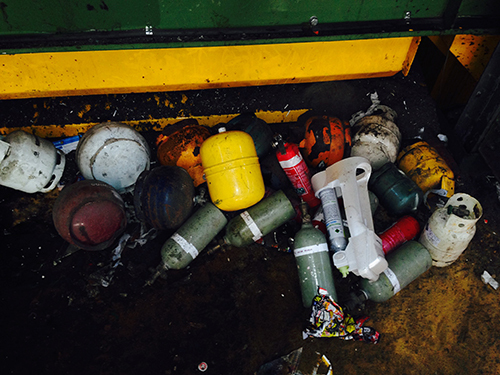 Do not throw your old gas bottle into your green or your yellow-topped bin as it is a safety hazard for the the Council trucks collecting your bins, as well as our workers at the Materials Recovery and Waste Composting Facilities. Gas bottles can be exchanged at some places of purchase, or need to be disposed of at your nearest Household Hazardous Waste Facility. 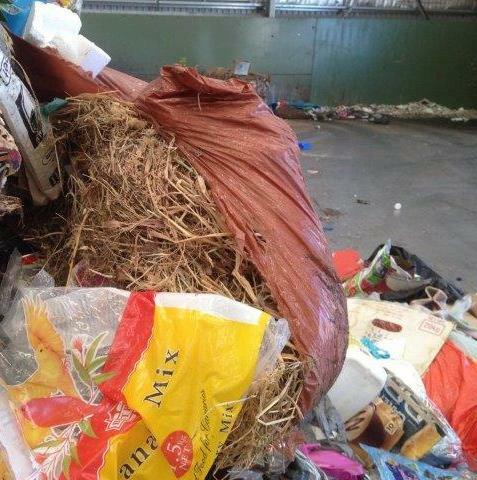 Garden waste and green waste are not recyclable â€“ this should have been put in the green-topped bin to be composted. Textiles that come to the RRRC in the either the green-topped or yellow-topped bin are destined for the landfill juggernaut. Large pieces of textiles can wrap around the large moving parts on the machines that we use to process waste. You can give all textiles to charity stores and op shops. Items that meet quality standards are sold at the shop. Items no longer suitable for use as clothing due to rips, staining, etc are cut up and sold as cleaning rags. Another great option for items such as old rugs that may be ripped is to give them to an animal shelter. 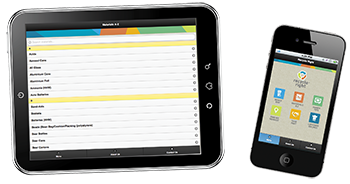 Download the Recycle Right App for tips on what to do with your textiles, as well as other great recycling tips. 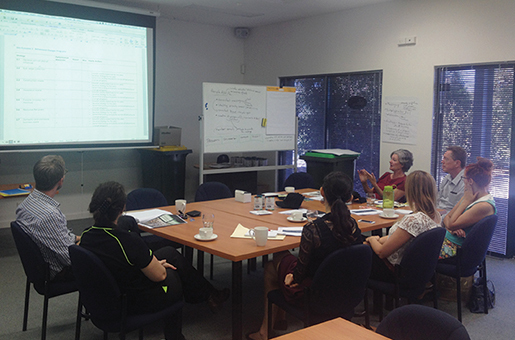 On Tuesday the 4th of March, staff from SMRC member councils met to discuss the development of the Recycle Right Plan. This plan will provide collaboration to maintain and improve waste management and waste education in the communities of the Southern Metropolitan Region. It will value-add to the activities Councils currently perform and provide resources for their communities to be educated about waste. Everyone was keen to discuss their views on waste education and how Recycle Right can work within and benefit their Council. We made a great start and there was excitement and enthusiasm in the room at what we could achieve together. The next step from here will be to work with the facilitator and present to the Community Advisory Group and other interested community members for their feedback. 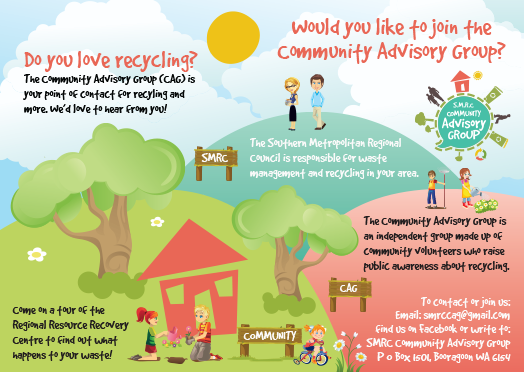 If you live in the SMRC region and would like to be involved in the community workshop on Thursday the 10th of April please contact the Community Engagement and Communications Officer, Taryn Beagley on 9329 2700 or email tbeagley@smrc.com.au The workshop will be facilitated by Joel Levin from Aha Consulting and will assist in developing key messaging for waste education in the SMRC region. 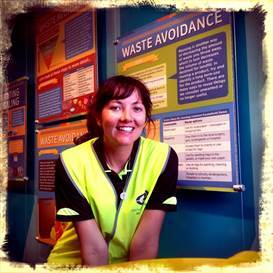 Claire Dunn is our new Recycle Right Tour Guide at the RRRC. Claire is passionate about sustainability and recycling and is really looking forward to making a difference by educating tour participants about how they can use best practise to manage waste in their homes. Claire has already been doing fantastic work for us and we are looking forward to seeing some really exciting changes to the way we conduct our tours! Welcome aboard Claire! If you would like to come on a tour of the RRRC, please email tours@smrc.com.au or call 9256 9555. The Community Advisory Group joined Chris Ferreira and Open Gardens Australia on an open home and garden tour at his Sustainable Home in Hamilton Hill on Saturday the 22nd of March. The Group provided great tips about how to Recycle Right.